I have never really been a fan of grape-flavored things like soda and gum. Even grape jelly was always a runner-up choice when given the option of some kind of berry. Well, I may just change my tune. 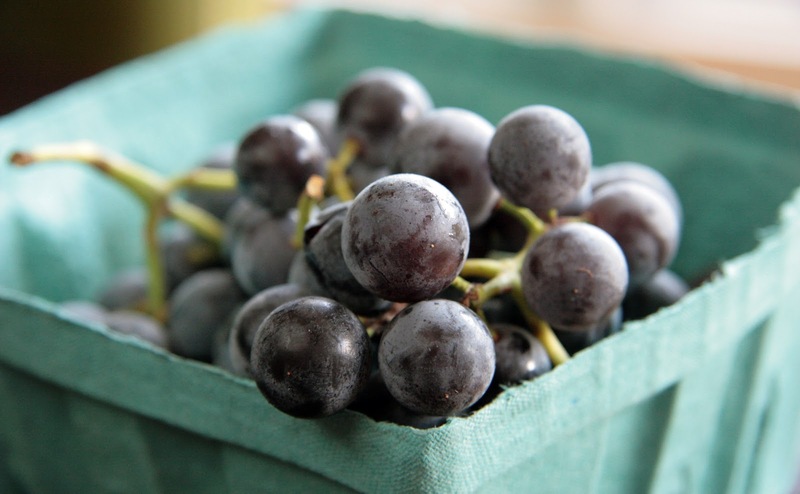 At the Friday farmers market in Citycenter Danbury, in addition to my regular selection of apples and pears, I decided to buy some concord grapes. I just needed something different. Boy am I glad I did. They are the most amazing grapes I've ever tasted. Now, I get it. They are the quintessential grape flavor but better. Sweeter and crisper than I ever imagined. I don't even mind the large seeds. I just crunch right through 'em. The original plan was to make grape tartlets, but it was a busy weekend and I never quite got to it. 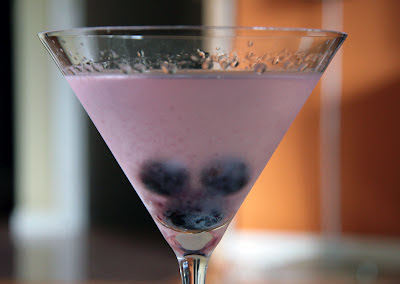 So until I get my baking on, I thought it might be fun to share the concord cocktails we whipped up instead. In a cocktail shaker mull the grapes. Pour in vodka and triple sec. Garnish with a few grapes around the rim of the glass. Pour the vermouth into a martini glass. Swirl it around to coat the sides of the glass. Pour out the excess. 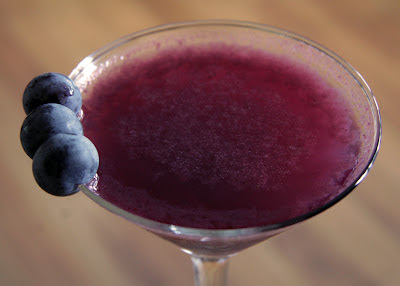 Mull the grapes in a cocktail shaker. Pour in gin. Add ice and stir. Garnish with a few grapes. I sure hope they have more of these amazing grapes this Friday at the farmers market. I may just buy them all.